OpenTable for hair stylists and other salon professionals StyleSeat is announcing a raise of $775K this morning, from enviable angel investors Ashton Kutcher and Guy Oseary’s A-Grade, Founders Fund (!) and actress Sophia Bush. The round will be added on to the company’s previous $700K from another Valley “Who’s Who?” list of investors including Jeff Clavier, Chris Sacca, Dave Morin, Travis Kalanick, Garrett Camp, Paige Craig, Alfred Lin, Christoph Janz, Joe Stump and 500 Startups. The company, which offers beauty and haircare professionals free tools to build and manage their online businesses, has booked over $17 million in salon appointments since its launch last spring, and now serves over 40,000 users. It monetizes through a freemium model, charging users a $25 fee for expanded booking, CRM and marketing features. The online reservations platform is yet another outgrowth of the “OpenTable for X” trend, which encompasses everything from “OpenTable for Doctors” ZocDoc to StyleSeat competitor Pencil You In. “We’re empowering a massive industry of small businesses to do what they love and make more money,” StyleSeat CEO Melody McCloskey (who also happens to be my really close friend and an amazing woman) wrote in a release. I’d have an actual non-canned quote from her in this mix but it’s really early on the West Coast so she probably hasn’t seen my email. Stupid timezones! 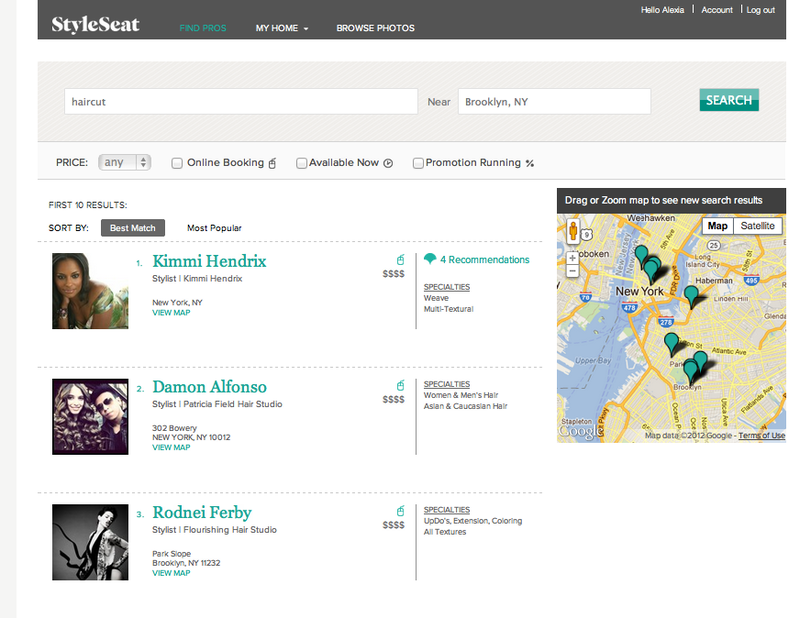 You can find StyleSeat on iOS here.